Even with a gubernatorial pardon, pleading guilty to a felony renders that person ineligible to run for elected office, according to a ruling handed down by a district appellate court. 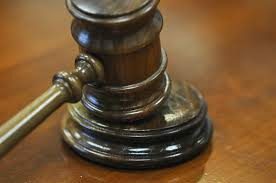 The Missouri Court of Appeals for the Western District on Tuesday affirmed the judgement of the Linn County Circuit Court barring Joshua Fay from running for Associate Circuit Judge. Fay, when he was 17-years-old, pled guilty to three felony offenses in February 1995: two counts of tampering in the first degree and one count of property damage in the first degree. In 2003, Fay was admitted to practice law in Missouri, after passing the bar examination and the Supreme Court’s character and fitness investigation. Then-Governor Jay Nixon pardoned Fay in 2016 for all three felonies to which he pled guilty. “This pardon obliterates said convictions so that I hereby restore to him all rights of citizenship forfeited by said convictions and remove from him any legal disqualification, impediment, or other legal disadvantage that may be a consequence of said convictions,” states Nixon’s pardon. The Linn County Circuit County ruled that the pardon eliminates the convictions, not the guilty plea, thus Fay is ineligible to run for elected office. Fay appealed the decision. There is no dispute that Fay meets the basic qualifications for an Associate Circuit Judge: he is over the age of twenty-five; is registered to vote in Linn County; and has been a member of the Missouri Bar in good standing since 2003. Fay argued that a gubernatorial pardon has the effect of eliminating any automatic disqualifications flowing from the commission of a pardoned offense. The appeals court upheld the lower court’s opinion, ruling that Fay is not eligible to run for an elected office base on his guilty plea.